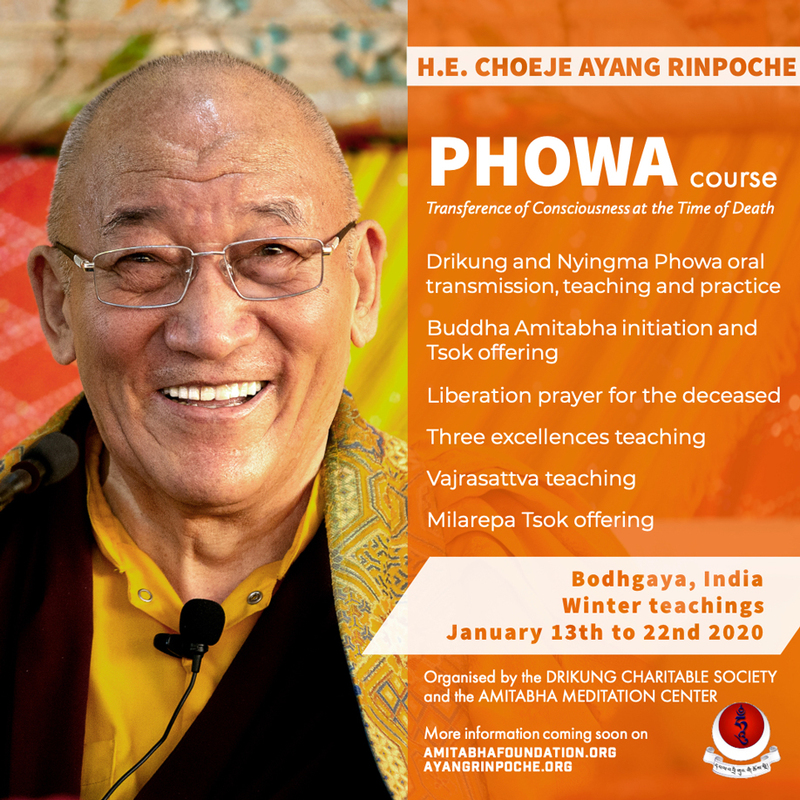 There is no fee to attend the Phowa Course, but registration is strongly recommended to reserve your space. For information in Vietnamese, please see here. For more information, and opportunities to sponsor and make offerings, please visit An Lac Temple website. 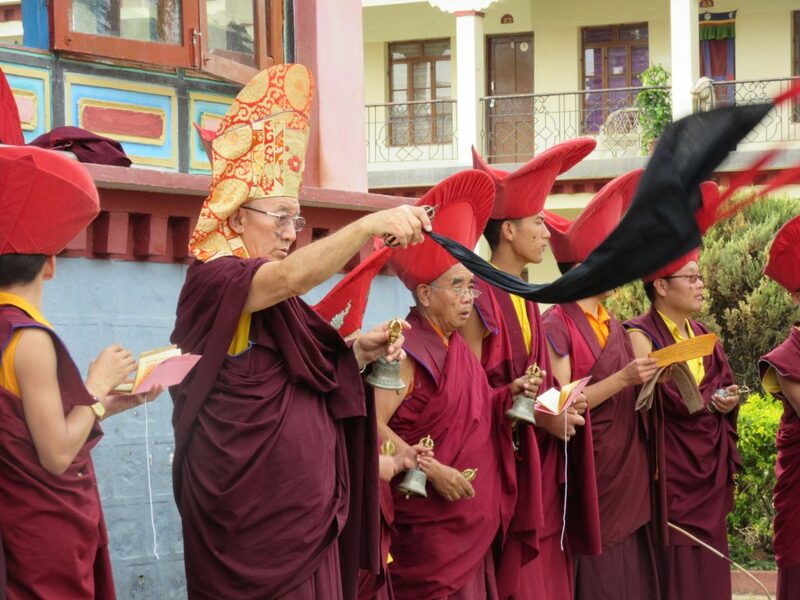 From February 13-19, Ayang Rinpoche’s monastery in Bylakuppe, South India will hold the annual Shitro (100 Peaceful and Wrathful Deities) Puja to celebrate the first fifteen days of the new year, when the Buddha displayed miracles for his disciples to increase their devotion. During this time, it is believed that the effects of positive actions are multiplied ten million times. 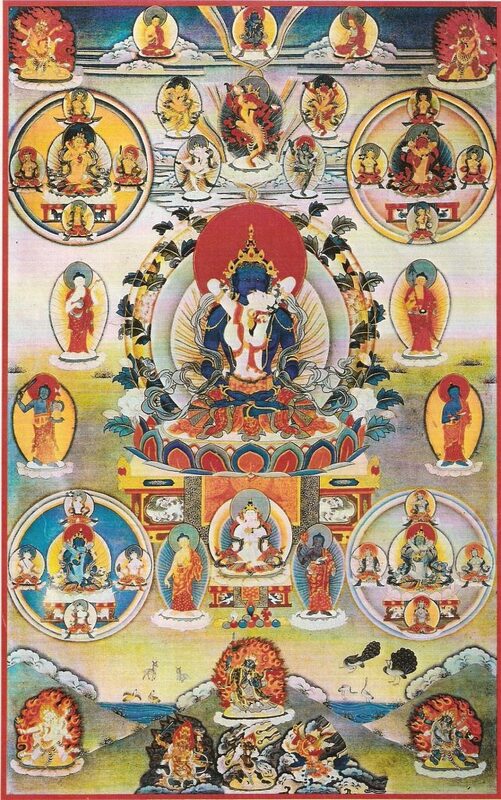 “It is the essence of the 6,400,000 Dzogchen tantras, and merely hearing this teaching cuts through birth in the lower realms; merely understanding it causes one to travel to the ground of great bliss (mahasukha); bringing its meaning to mind causes one to accomplish the irreversible state of the spontaneously arisen awareness holder. For everyone who connects with this teaching there will be great purpose and meaning.” (H.E. Ayang Rinpoche, 2009, Trans. Tyler Dewar). 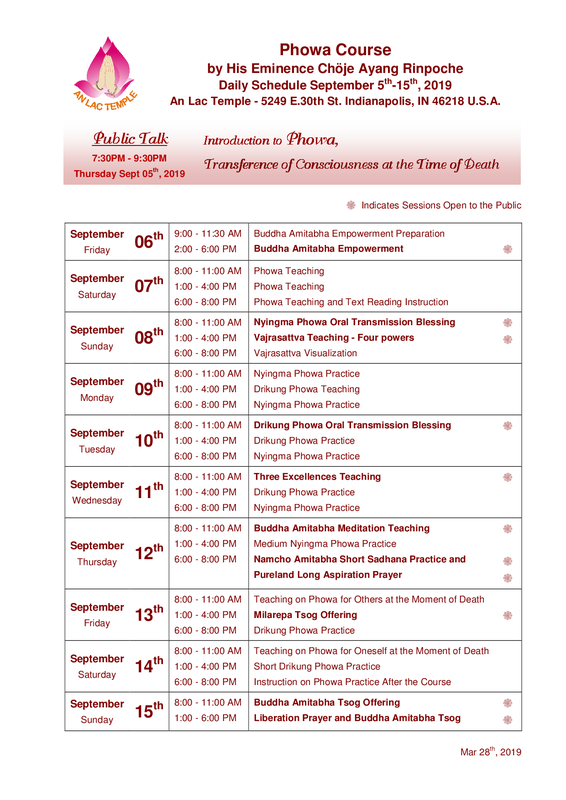 The Shitro puja includes the Liberation for Dead Beings ceremony. Anyone who would like to make offerings and dedicate prayers to family members, friends, loved ones or pets who have passed, this is the best opportunity. Names must be received by February 17 at 5 pm (Pacific time) to be included in the prayer list for the Liberation Ceremony, but offerings are welcome at any time. 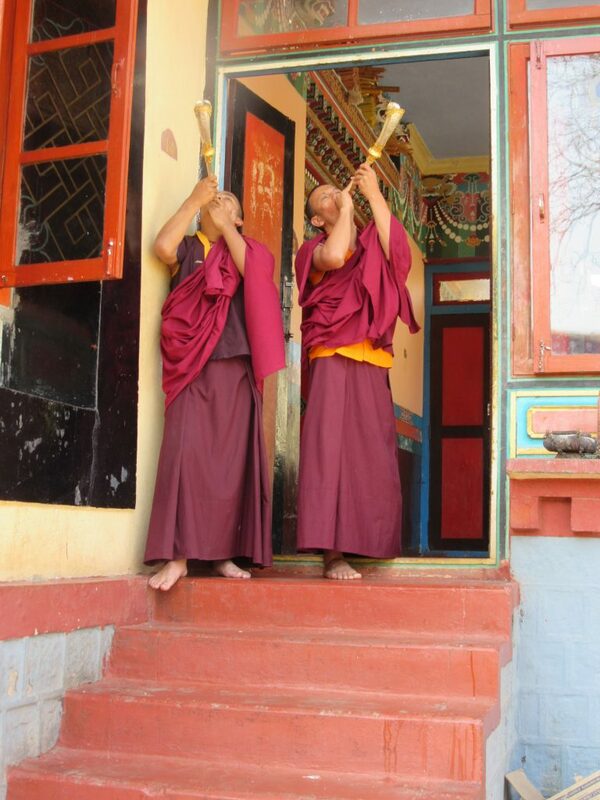 To make offerings, use the link below or send a check made out to Amitabha Foundation to P.O. Box 2572, Aptos, California 95001. Donations sent through the Amitabha Foundation are tax deductible in the US. You may also send your donation directly to the monastery’s bank account using the information below (this will not be tax-deductible). 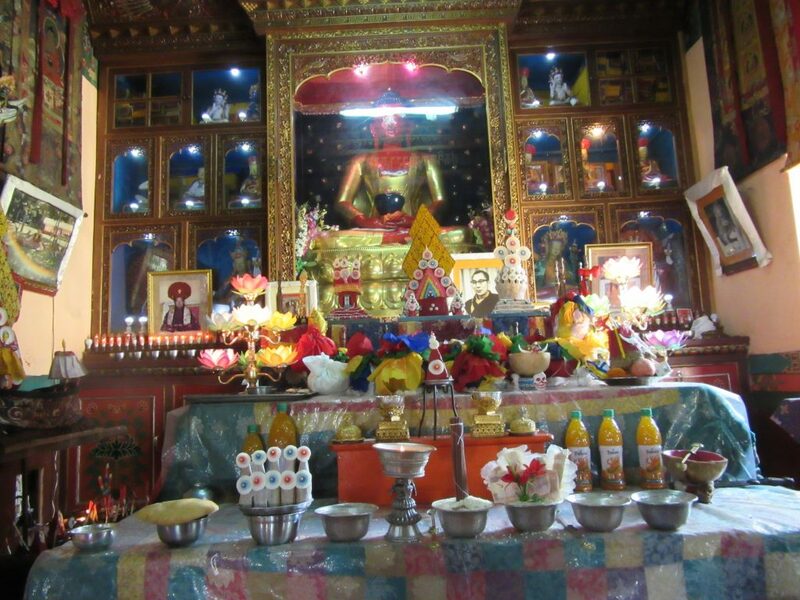 Click here to see a list of all the annual pujas at Ayang Rinpoche’s monastery, with the lunar calendar dates. The Western calendar dates will be posted as soon as they are announced. 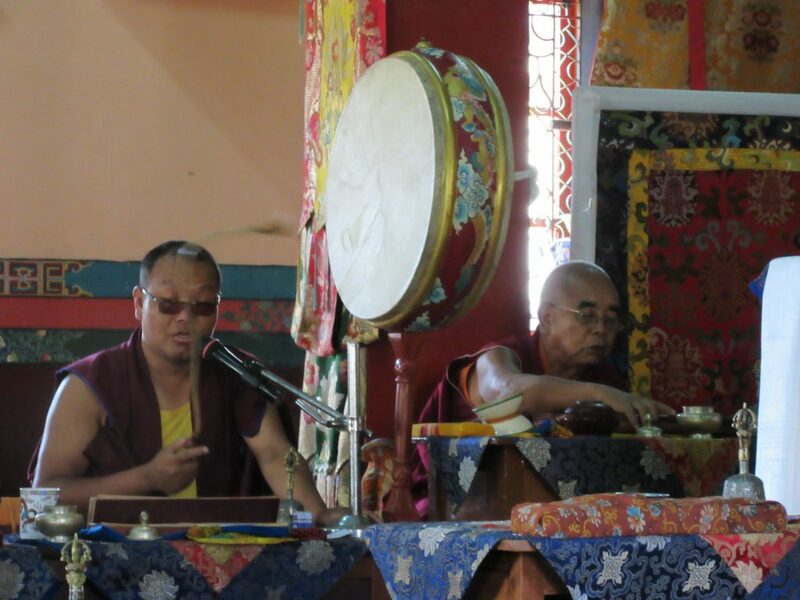 The annual Guru Dragpo puja at Ayang Rinpoche’s monastery in Bylakuppe, India, begins January 28, 2019 and continues for 7 days through February 3, 2019. 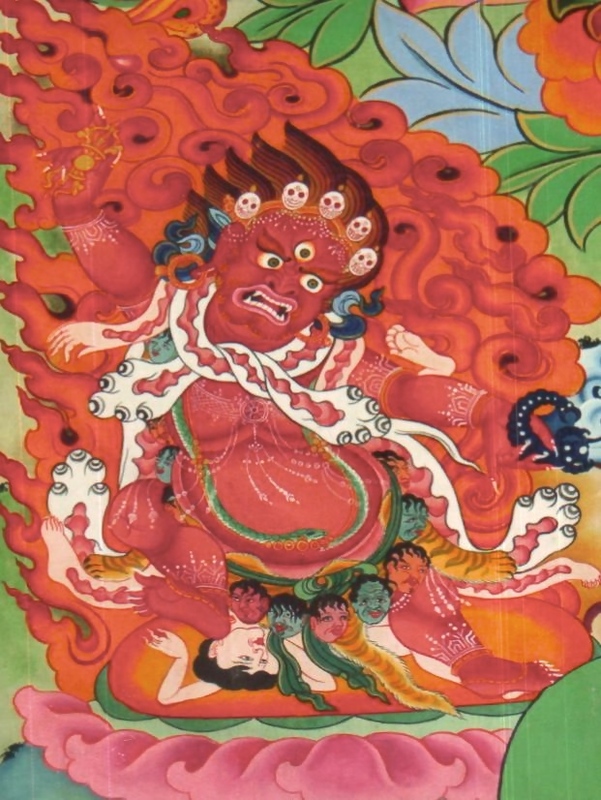 Guru Dragpo, the wrathful form of Guru Rinpoche, is practiced at the end of the Tibetan lunar year to dispel obstacles and purify any remaining negativities in order to usher in happiness and prosperity for the New Year (Losar), which is February 5th this year. 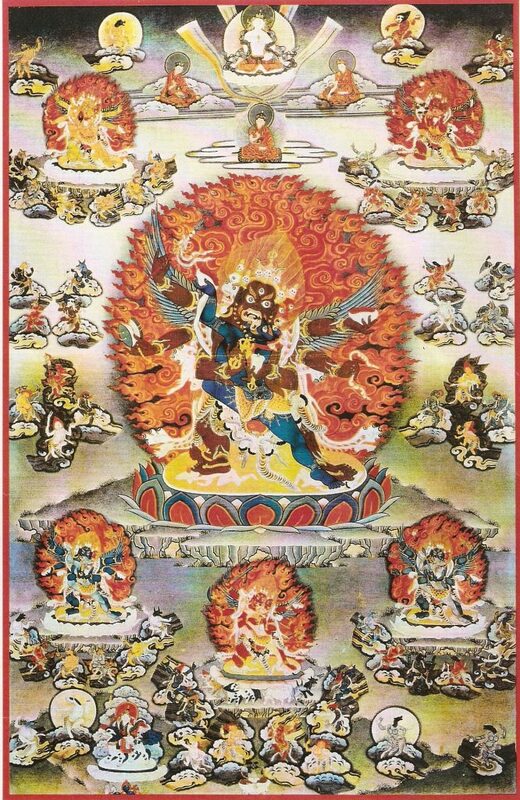 You may also participate by reciting the Guru Rinpoche mantra (see below) or the Seven-Line Prayer to Guru Rinpoche. 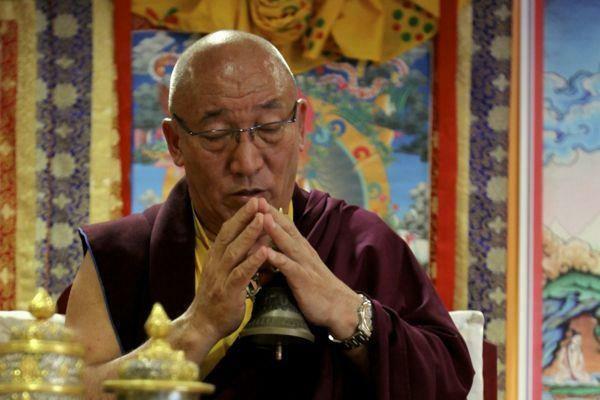 Click here for Ayang Rinpoche’s teaching on the Seven-Line Prayer, and the prayer in Tibetan and English. Ayang Rinpoche has said that anyone sponsoring Dharma activities gains the same merit as the practitioners. 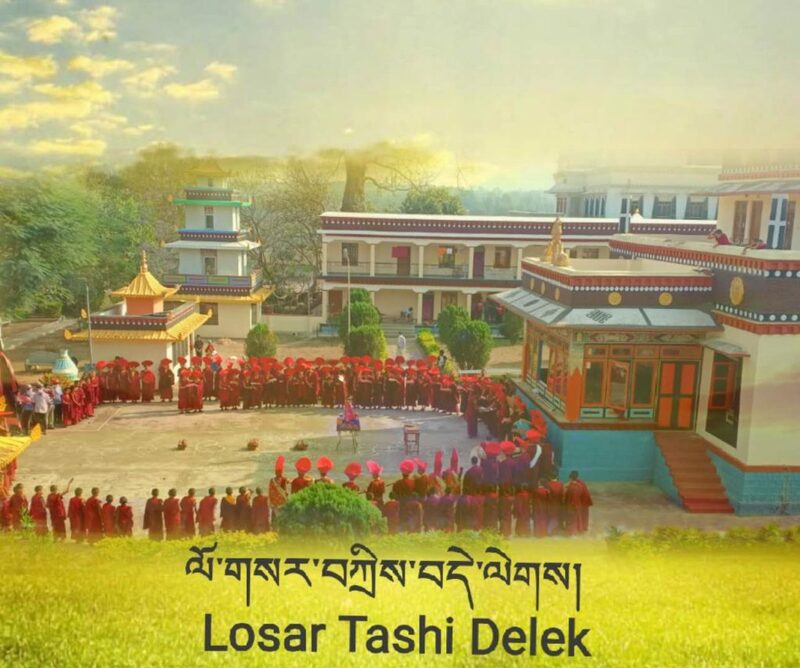 If you would like to make a US tax-deductible contribution to the Guru Dragpo puja using PayPal or your credit card, please select the amount of your donation below. The full cost of the puja for 280 monks, nuns, khenpos and lamas is $21,650. Here are some suggestions, but your donation of any amount will be appreciated and will be like a drop of water mixed in an ocean of merit. You may include a dedication for your offering in the name of a loved one, including pets. All names must be submitted to the Amitabha Foundation by February 1 at 5 PM Pacific Standard Time. You may also send a check in USD made out to Amitabha Foundation to: P.O. Box 2572, Aptos, California 95001. and send the names for dedication to info@amitabhafoundation.us. 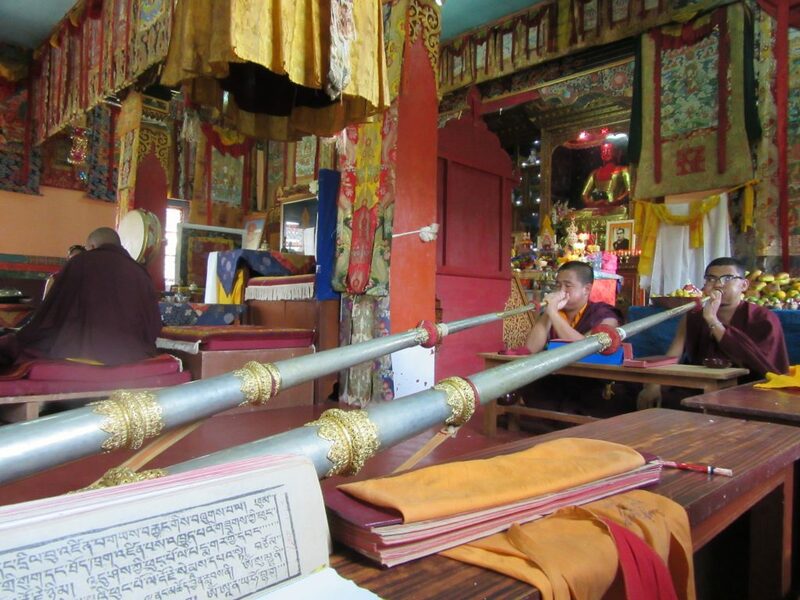 For donors outside the United States, here is the link to make offerings directly to the monastery’s account through the Drikung Charitable Society.